St. Martin's Griffin, 9780312549978, 208pp. Kate is devastated to find herself back in a group home after a peaceful year of living with her loving foster parents, Lynn and Ted. The fantasy life of having the perfect family has come to an abrupt end and Kate's reeling from having to return to the place she's fought so hard to avoid. Sad and lonely, Kate soon falls prey to the dangerous affections of Percy, a good looking but shady young man. He treats her well at first, manipulating her already broken heart, and soon a cycle of controlling and abusive behavior begins. Now Kate finds herself trapped and unable to be the strong, independent girl she's tried her whole life to be. But this Brooklyn-born girl is never one to let a bad situation keep her down for too long. 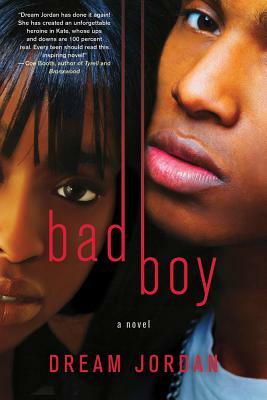 Told in Kate's sassy, witty voice, Bad Boy is all about staying strong and remaining true to yourself even when it seems like the whole world is out to get you.